I will walk to remember and celebrate my mom on September 15, 2018. 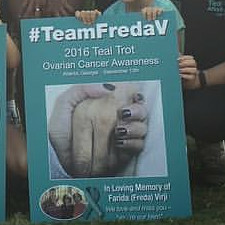 In January 2016, my mom was diagnosed with ovarian cancer. She passed away on June 24, 2016 ... 5 short months after her diagnosis. Soon after my mom's passing, I began genetic testing and was able to make some proactive decisions about my health. I couldn't save my mom, but in a way she saved me. I am here today because of my mother. And now I want to honor her and her fight. 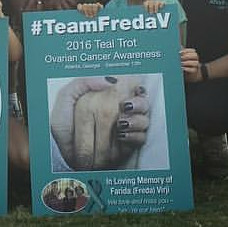 Thank you for visiting as I continue my efforts to raise awareness and funding for ovarian cancer in honor of my dear mom, Freda Virji, and every other woman who has battled or is battling ovarian cancer.